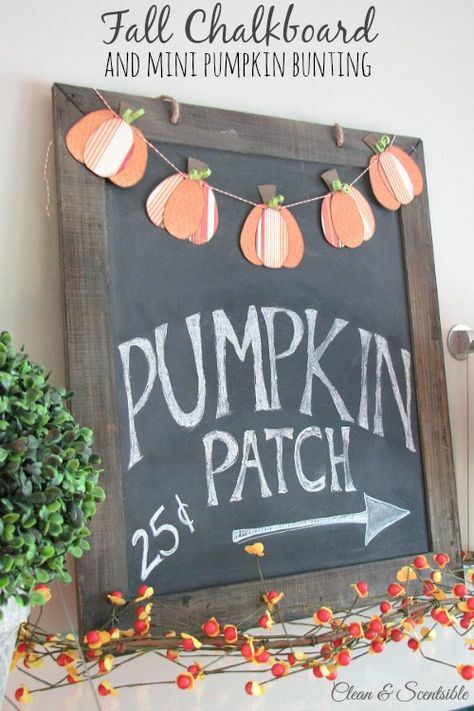 Get ready for fall with these creative DIY projects! September is here and fall is right around the corner, are you ready? The leaves will soon start changing color, the evenings are about to get cooler, festivals are about to begin and I've got 20 fabulous fall DIY's to try. 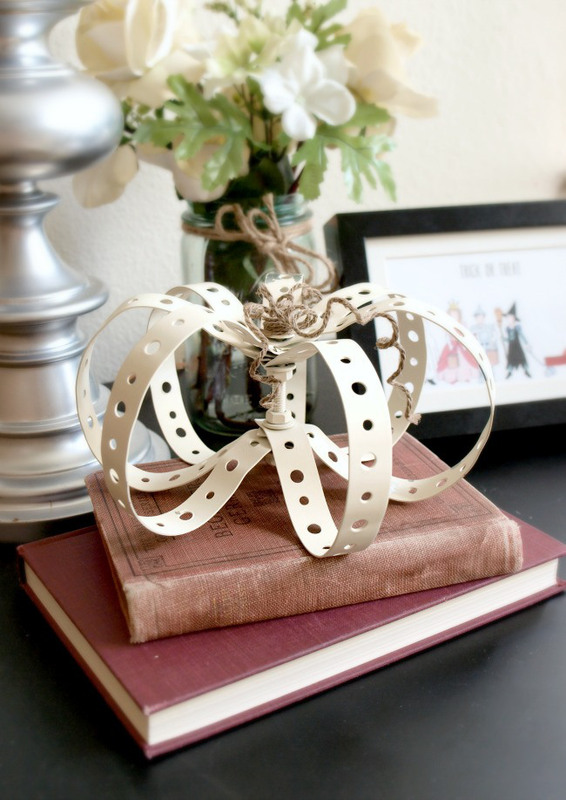 If you're anything like me and love decorating for fall, but don't want to spend a lot of money buying new decorations then I know you'll love these fabulous DIY ideas. 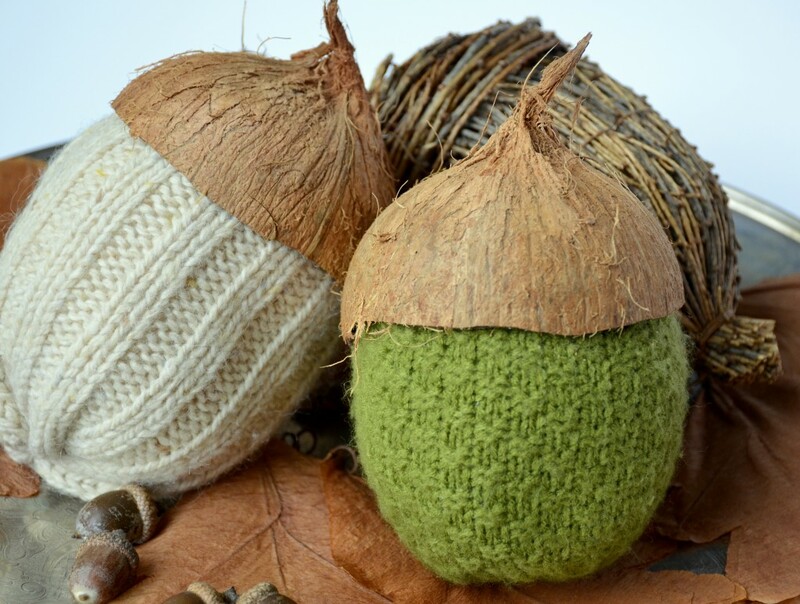 They're the perfect way to add a touch of fall and warmth to your everyday decor. 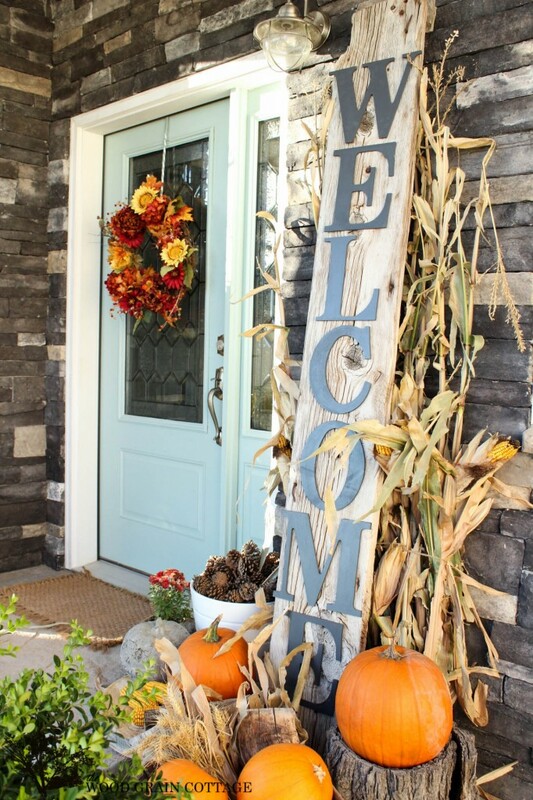 Welcome guests with a festive front porch and easy DIY welcome sign. Do you have any old sweaters laying around? How about turning them into cute acorns? These pallet pumpkins are not only simple and free, but the perfect rustic fall decor. Create the perfect fall addition with a pumpkin bunting and fun chalkboard art. How cool and unique are these metal pumpkins? 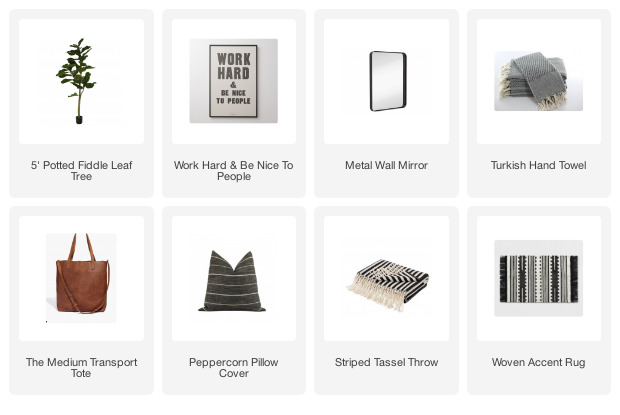 Can you believe they are made with items from the hardware aisle? So cool. 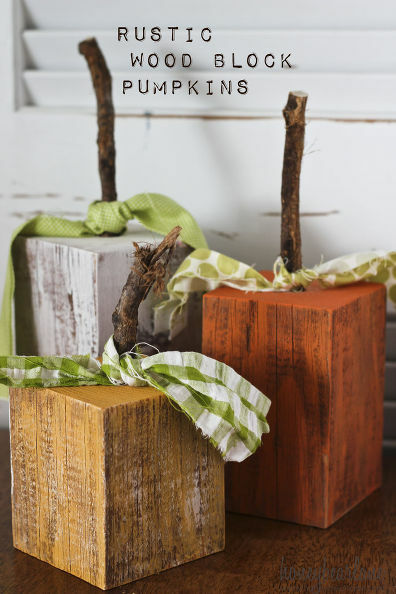 Create the perfect fall centerpiece with these adorable reclaimed wood pumpkins. 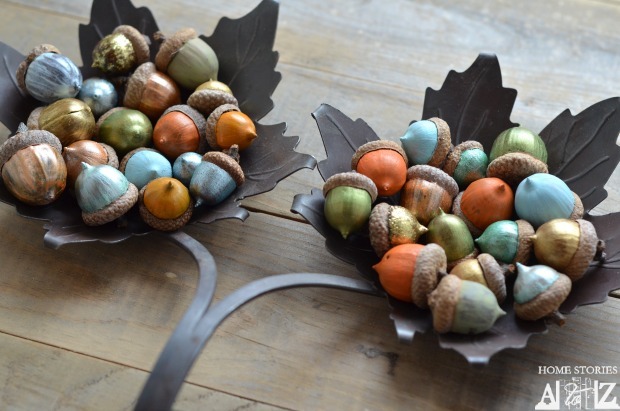 How fun are these easy and simple painted acorns? It would be the perfect project to try with my kids. Use up those leftover 4x4's and turn them into adorable rustic pumpkins. 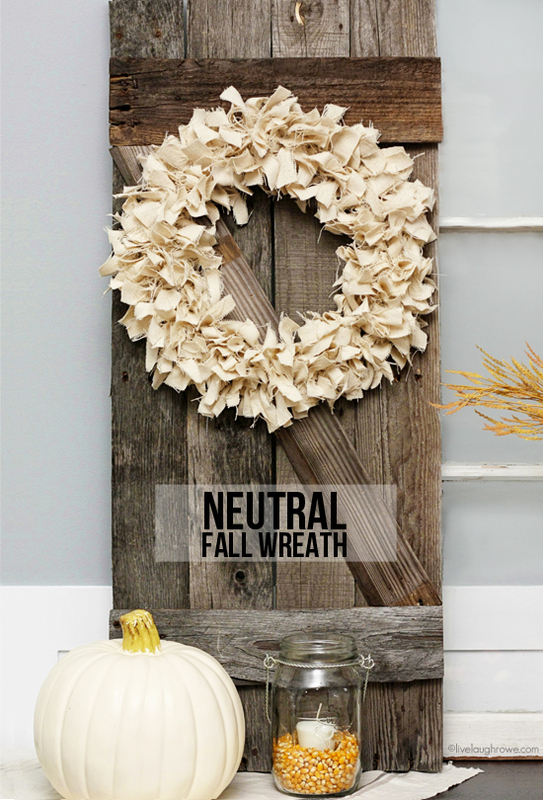 Drop cloths are great for so many things, even creating a beautiful neutral fall wreath. Do you go apple picking in the fall? 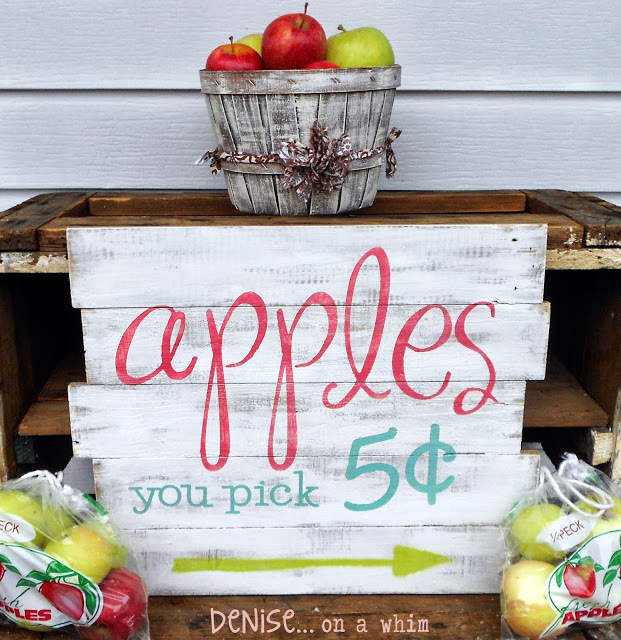 How about making this adorable apple pallet sign. 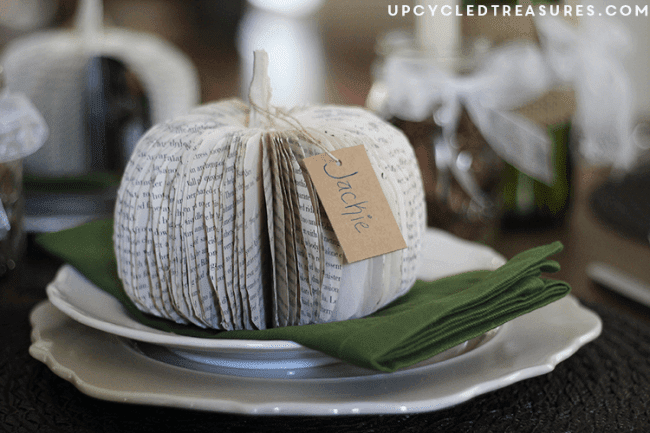 Turn old books into little paper pumpkins. Add a tag and you have the perfect personalized place setting. 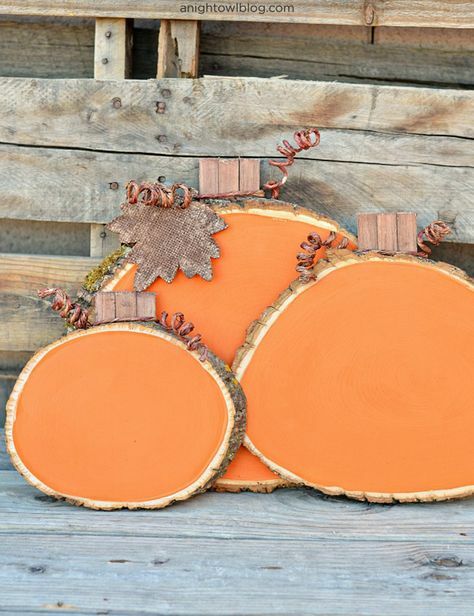 Wood slices and paint come together to create a pumpkin perfect for decorating. 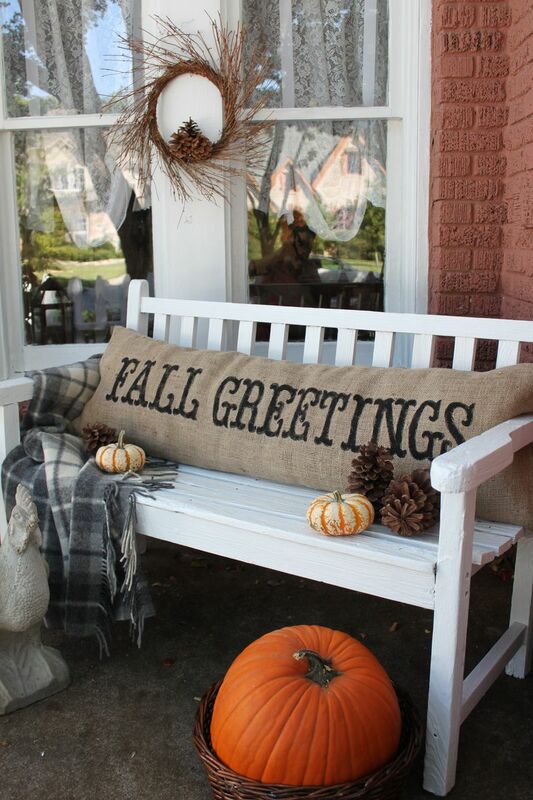 Decorate an outside bench with a cozy burlap pillow. 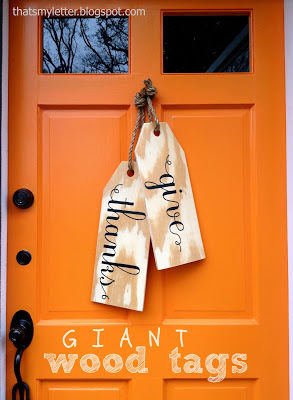 Welcome friends and family to your home with oversized wood tags. Fall isn't all about orange, red and yellows. 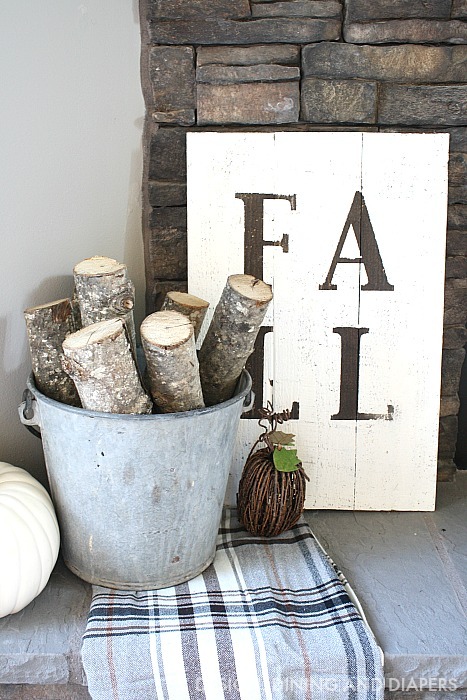 Create a cozy and neutral fall mantel with an easy DIY sign or add a few logs to a rustic bucket. 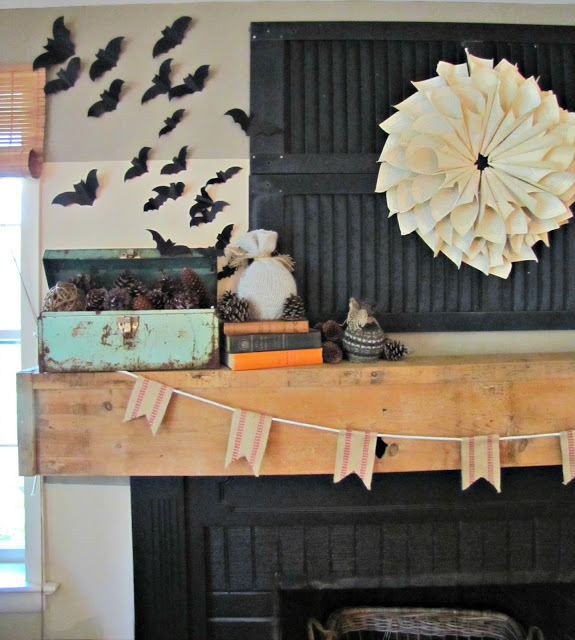 Bats creep me out, but I still love using them in my fall and Halloween decor. 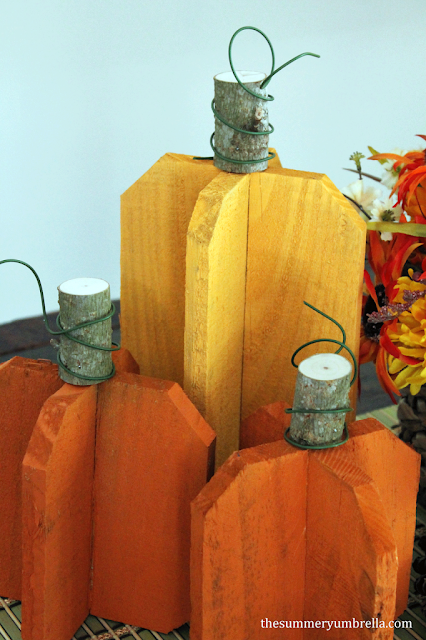 They're super inexpensive, easy to make and create a the perfect addition to a fall mantel. 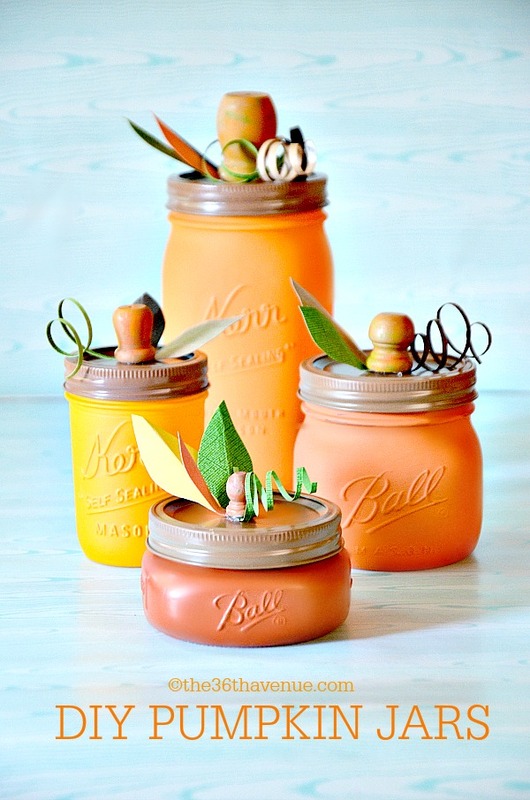 How adorable are these pumpkin mason jars? 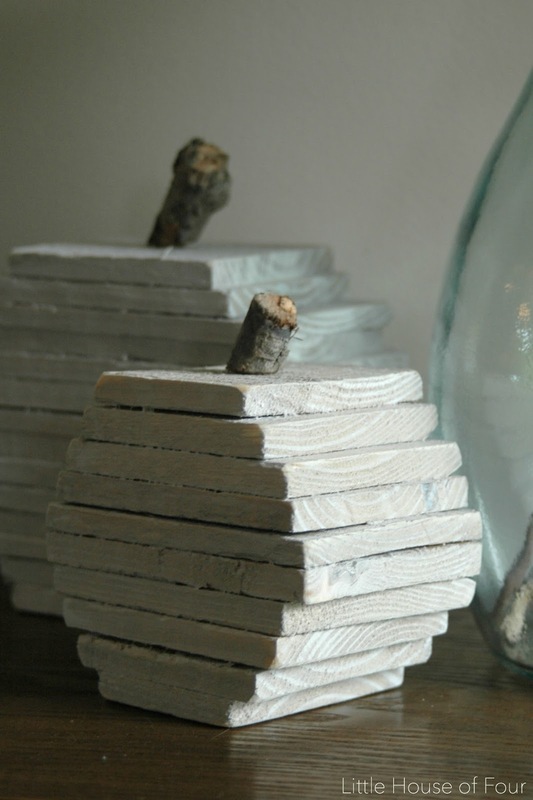 They're perfect for gift giving or creating a fall centerpiece. Fabric is useful for so many things, creating cute chenille pumpkins is just one of them. This Give Thanks bunting is the perfect way to add a touch of neutral fall decor to your mantel. 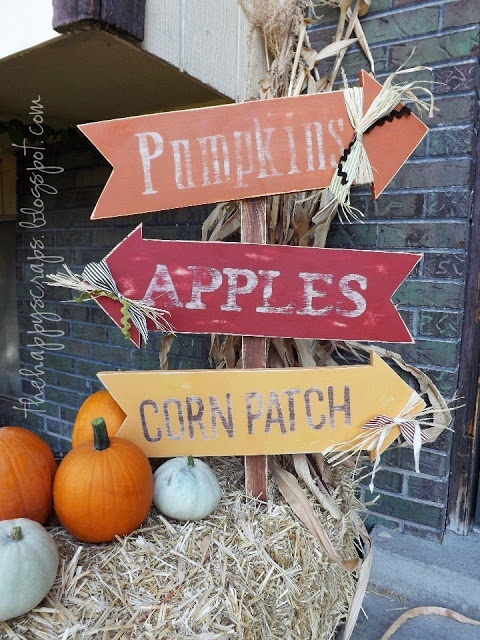 And fall just wouldn't be the same without pumpkins, apples and a corn patch! 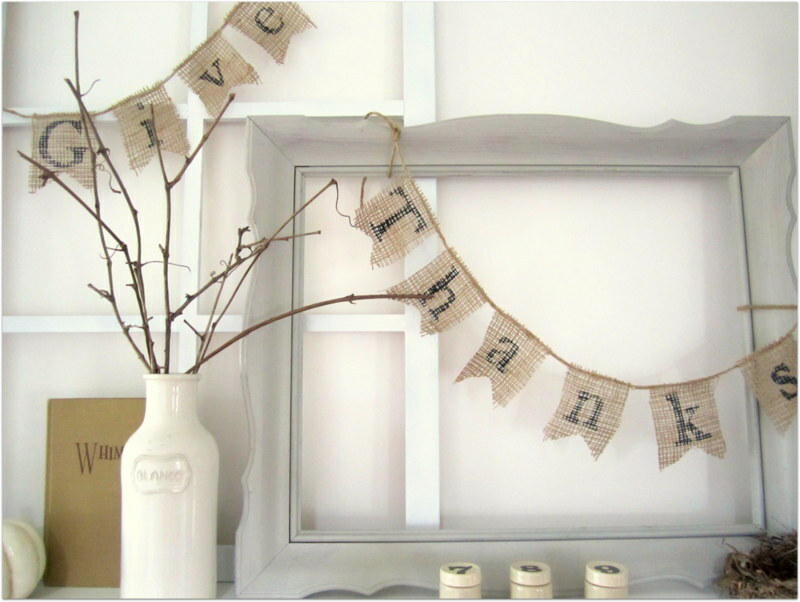 I can't wait to start decorating and creating some new fall projects. And don't even get me started on all the yummy pumpkin desserts and drinks, yum!